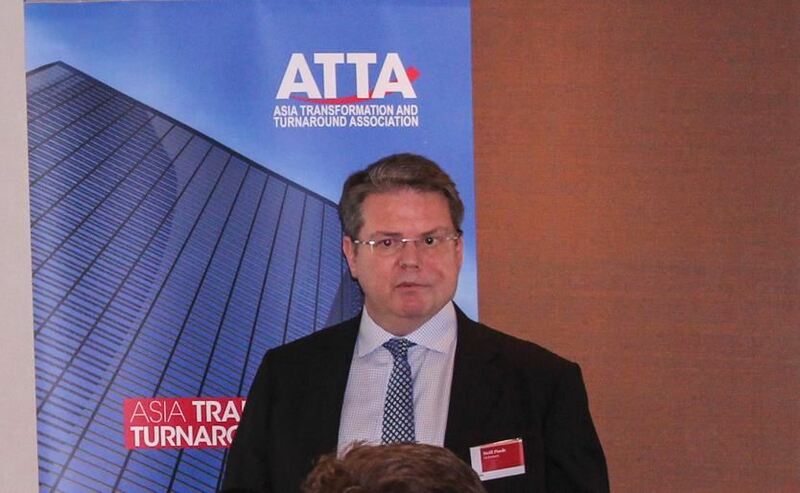 Our 6th Annual ATTA Conference was held in Hong Kong on 6 & 7 November 2015 and was a huge success. What does it ACTUALLY take to change a person's behaviour? 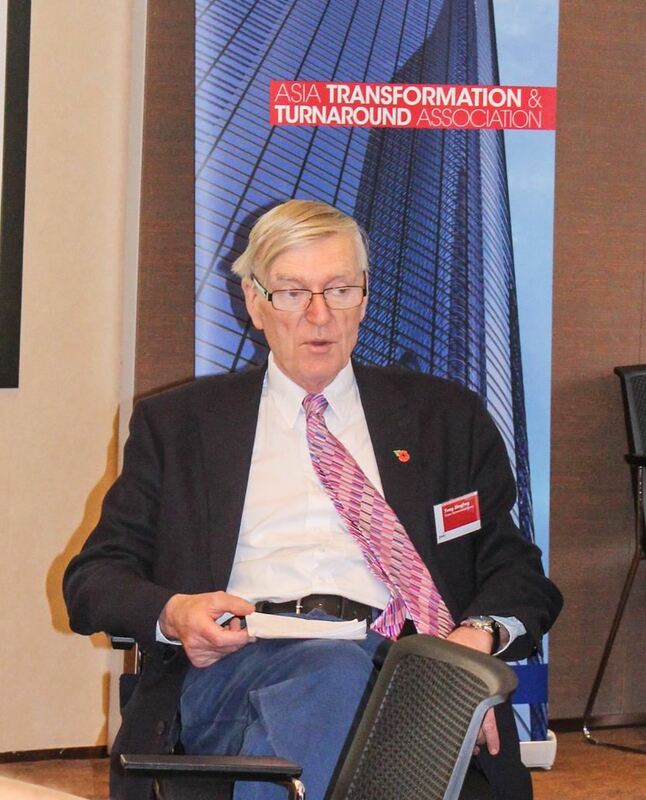 Neill Poole, Director, AlixPartners opened the Conference presenting the results of their annual survey into the Restructuring and Turnaround industry in Asia. The observation was made that a number of responders to the AlixPartners survey suggested that M&A was a solution to a distressed restructuring process, but that this would not solve the underlying problems rather it would shift the problem from balance sheets. Digital transformation is seen as a medium term driver to operational restructuring and corporate debt in China is seen as a major driver for distress, insolvency and turnaround. Neill's presentation generated a lively debate about the adequate use of professionals in due diligence and the metrics and management for post merger integration. 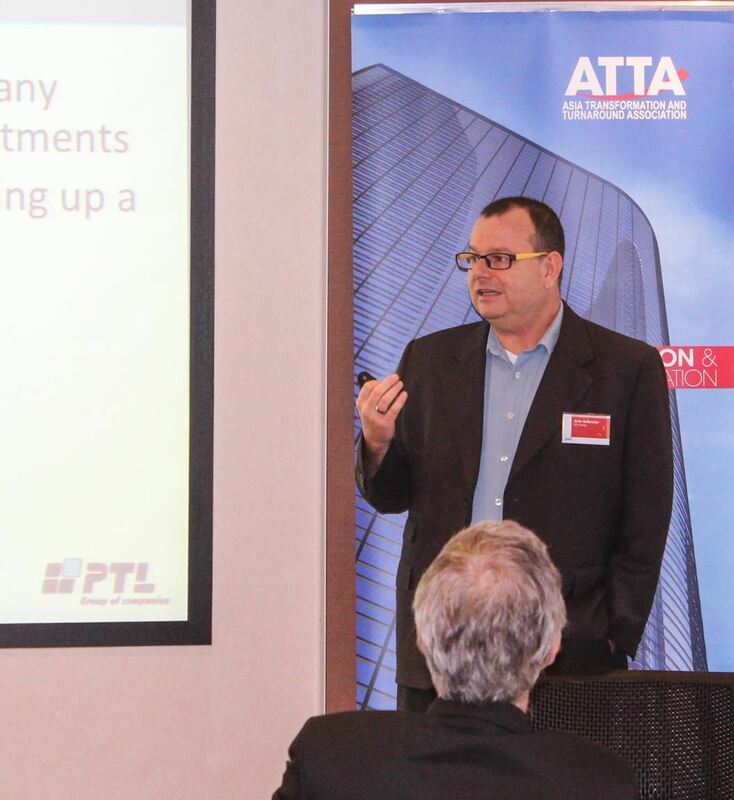 Russell Brown, Managing Partner, LehmanBrown, Arie Schreier, General Manager, PTL Group and Peter Taylor, PKF Thailand had a panel discussion on where they are seeing turnaround opportunities in China and South East Asia. A key point was that local Chinese management at SME level is generally primarily driven by revenues, not necessarily by compliance or good practice. This lack of compliance, even if it creates unintentional fraud, creates tax problems, and there is a lack of oversight from international shareholders with too much trust and assumed practices. It was noted that China corruption law is stricter than its UK and US equivalent but is not enforced consistently. When it is enforced, this will result in more restructuring work. Following on from the panel, Jon Anderson, Vice President & General Manager, East West China, shared their perspective of mid-sized turnarounds in China. Jon felt that attitudes were changing and the market was opening up for advisors although they still faced cultural barriers to performance improvement. He added that, unlike in the US, simply reducing staff costs and increasing prices isn't always an option in China. Jon shared an interesting case study of an 8 year old WOFE they had worked on under an interim management mandate. Damien Coles, Partner, Kirkland & Ellis chaired a highly insightful panel comprised of David Naphtali, Madison Pacific Trust Ltd and Andrew Riebe, Managing Director, Head of Loans, Illiquids and Distressed Credit, Nomura International (Hong Kong) Ltd., discussing sources of funding for turnarounds. The panel commented that Asian companies tend to adopt the "ostrich" approach to restructuring. There is the need for the legal adviser to be honest to lenders, if there is a problem, they should be informed, ideally along with a potential solution. Other topics discussed included the need to have practical structures in place, the challenges of issuing high-yield bonds in Asia and the complications involved in the repatriation of funds from countries in Asia. Questions from the floor varied from whether the panel would make it a condition of a loan to change a key management position (yes for some emerging markets but it would be impossible to do if trying to replace a family member in a family-owned company) to the importance of not cutting corners in emerging markets. Damien noted that one should contact him in case of any opportunities seeking funding, as he may be able to make introductions to funds. The panel was followed by Matt Lyon of Arcadia Consulting who provided a fun and interactive demonstration of how humans respond to change. He provided a truly fascinating explanation on the evolution and neuroscience of the brain and how it works in terms of thinking vs. habits. He explained how to use this to make transformation strategies more effective, by breaking down old habits and instilling new ones through conscious control and repetition. The final session of Day One was led by Sean Molloy, Managing Director, Crisis & Security Consulting, Control Risks who gave an enlightening presentation on how to handle labour issues in relation to turnarounds in China. He highlighted the need of planning in advance to work towards a smooth restructuring which generated a great deal of discussion on security issues in China. Sean also shared a War Story of one of the matters they had dealt with to highlight certain key factors to be aware of in China. Opening Day Two was Dr Tony Henfrey, Chairman of Texon International Group. 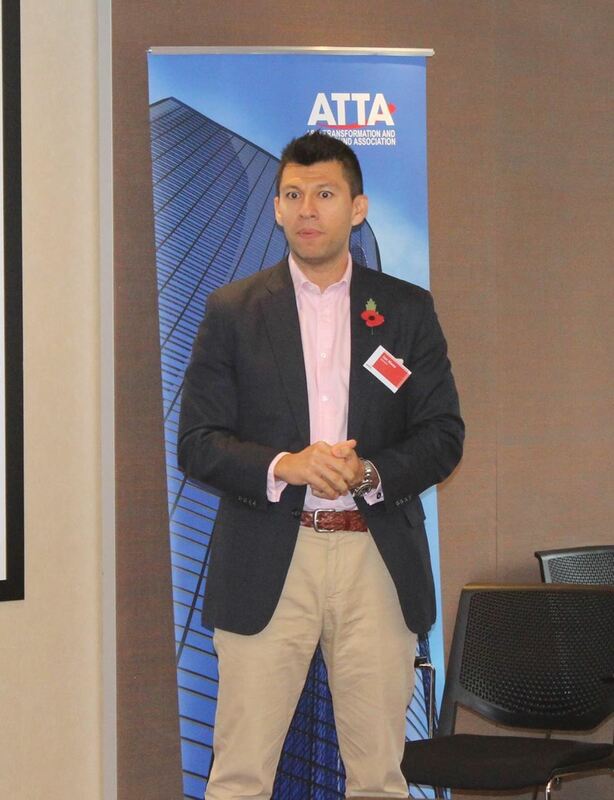 Tony is a highly experienced turnaround professional with over 35 years of experience and ATTA were extremely fortunate to benefit from his wealth of knowledge. He commented on the need to ensure the fundamental problems of distressed situations are being resolved and it is not just the symptoms being addressed. Some of the topics he covered included the emergence of funders, the need nowadays to look at pensions when undertaking a turnaround, the importance of changing the culture of an organisation to have a successful turnaround, that benign conditions have suppressed "zombie" firms, the need to have someone empowered to implement change and how do you get in earlier and break the barrier of denial. In the UK, Tony noted that the public sector is ripe for turnaround and a big source of work is within the charitable and voluntary sector. 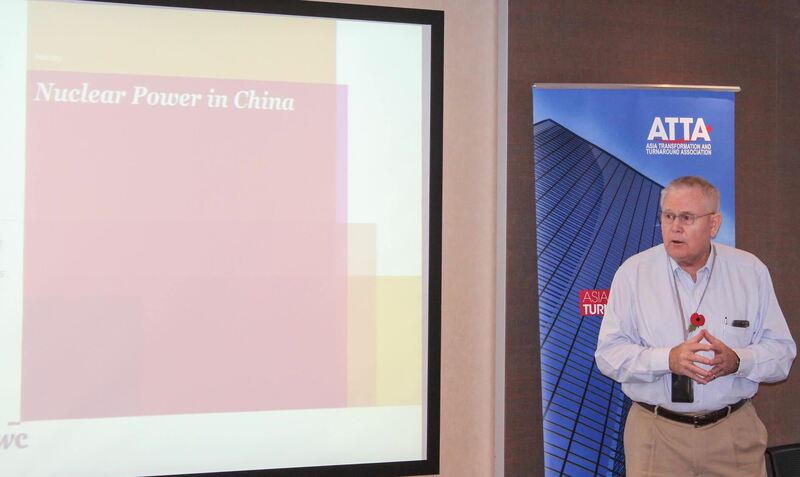 Simon Haarhoff of PwC shared his insights in working with Chinese SOE nuclear facilities. China has 29 reactors in operation and 22 under construction, predominantly on China’s East Coast (giving a three-fold increase in nuclear capacity). This new construction is targeted in central China to support the growth in business and urbanisation with the key driver being air pollution and power demand (more demand from business). Simon commented that the more Chinese nuclear operators work outside of China it is assumed that this will force culture change and transparency. Whilst the Chinese trait of inventiveness and the ability to execute was praised, there were some questions about how long things will last for and how strong was the adherence to compliance and safety. The delegates were then fortunate to be educated by Ian Mann, Partner at Harneys, on how the offshore legal system works in relation to turnarounds and restructurings. Ian touched on several interesting points, including that the lack of mobility in labour is a killer of restructuring in China, echoing the point made the previous day by Jon Anderson. He added that he has seen situations where local governments are funding restructurings as they cannot afford to have unemployment on their doorstep. Ian went on to provide an overview of Harneys' award-winning work with Titan Petrochemicals and their unique approach to ensuring a Scheme of Arrangement would be put in place. 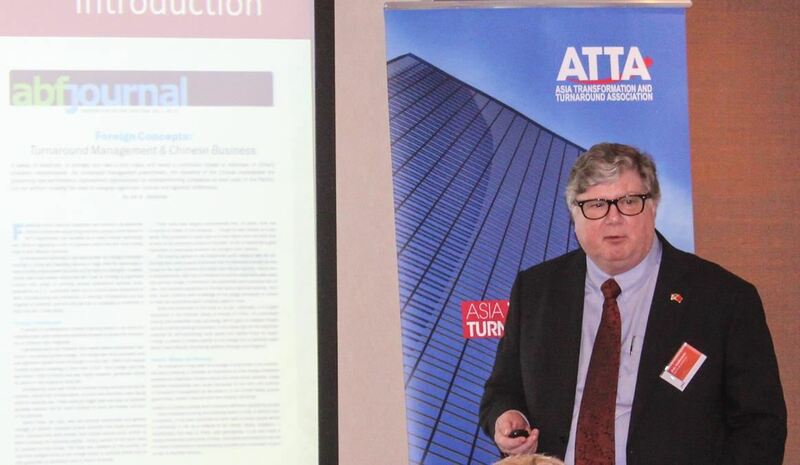 James Greener, Managing Director, Ventual Ltd, supported by Steve Hardacre of Critical Game Consulting and Game Changing Healthcare Ltd, then moderated a workshop on how to sell transformation and turnaround work in Asia. Steve shared how he sold transformation and turnaround services in both the healthcare and non-healthcare sectors which provided the delegates with food for thought. Everyone was then encouraged to work together to list key aspects they focus on when selling their services. 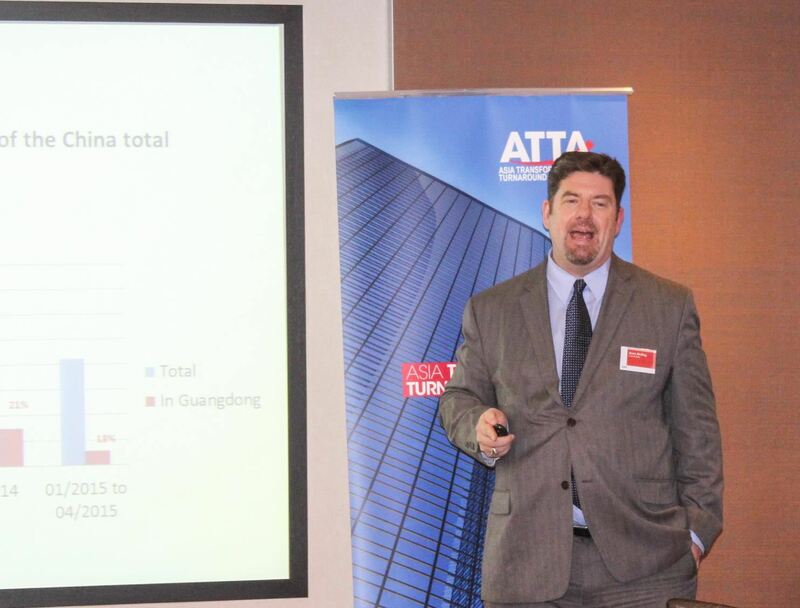 After lunch, Arie Schreier, General Manager, PTL Group talked about “where and how to find new turnaround opportunities in China”. He presented on different operational structures they see and the problems each one of these face. He pointed out that most WOFEs are likely to need turnaround, normally after 3-5 years of operation. All WOFEs, no matter who is managing them, need supervision, training and mentoring by a professional third party. Echoing the points of others, Arie stressed that the main challenge was finding the right person who was brave enough to ask for an operational audit either in the China operation or in the head quarter. The final session of the Conference was run by Rupert Purser of Burford Capital who provided an overview of litigation funding, particularly how it can be applied to companies in distress. The issue of champerty and maintenance was addressed and generated much discussion. Our thanks to PwC for their ongoing support of ATTA.